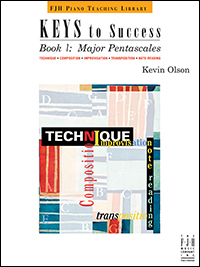 Keys to Success integrates technique, improvisation, transposition, ear training, sight-reading, and original repertoire into the study of each key. This book is arranged in fifteen units (one for each major key), beginning with C major and continuing in order of ascending sharps and flats. 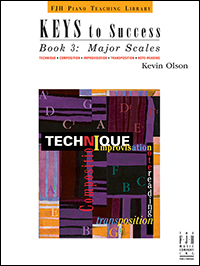 In each of the units, the student explores one new major key and reviews previously studied keys through activities. 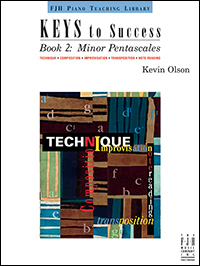 Kevin Olson’s Keys to Success series continues with Book 2, similarly arranged in 15 units, this time one for each minor key. (Enharmonic keys are also included.) Technique, improvisation, transposition, ear training, sightreading, and original repertoire are once again integrated into the study of each key.